Rain or shine, Vermont has a place for your little one to play. It’s important that your children stay physically active and socialize. Vermont’s play centers provide an excellent opportunity to do so. From entertainment centers in Essex Junction to climbing gyms in Burlington, here are the best play centers in the state. Sure, Stratton Mountain is ski resort first, but you’d be hard-pressed to find anywhere else in the Green Mountain that offers more to do for kids than this place. We are talking about live music, mini-golf, skiing, tubing, snowcat rides, fat tire bikes, and even an indoor water park. Plus, you will find dining experiences, and holiday festivities to suit all ages all found within the resort facility atop Stratton Mountain. The name says golf, but Stonehedge is more than just that. First off, you’ll find a delicious food menu from which you can order various hot bar and grill themed items, 11 wide-screen TVs, a virtual shooting range, and more than 40 virtual golf courses to be played. A perfect place to take older kids, this golf and entertainment center offers hours of fun, hole-in-one golf, and even weekly tournaments. At Otter Creek, you will not only find a kid-friendly menu, full of ice cream, pizza, sandwiches, burgers, wraps, and appetizers, but you will also experience classic arcade game, a bouncy house, and 18-hole outdoor mini-golf with a waterfall and fountain theme. Perfect for birthday parties, holiday, and other events, Otter Creek is fun for all ages and now even offers gift cards. At the Essex Family Fun & Entertainment Center, you and your kids can expect to find a golf ball driving ranges, batting cages, and 18-hole mini-golf. We are talking about water features, awe-inspiring sunsets, and pesky sand traps on a course that will keep you engaged and challenged for all 18 holes. Plus, there is an ATM on site for cash withdrawals as well as snacks and cold beverages. Promising “more fun under one roof” than in anywhere else in Vermont, this family amusement center not only offers a great slice of pizza pie, but it also boasts nine-hole mini-putt golf with a Wonders of the World theme. Of course, you will also find laser-tag, a vast and varied video game arcade, bumper cars, a batting cage, and even mini-bowling. Recommended for kids who never seem to get tired, Petra Cliffs offers challenging, guided climbing for both children of varied ages and adults. Petra also leads group indoor climbs, outdoor climbs, and ice climbs for beginners and advanced climber alike. Plus, you will find expert-level instructors, a mountaineering school, and even programs developed especially for kids. Get Air is nationwide trampoline park, and they have one location in Vermont. Although the theme here if getting air, there are plenty of other activities to choose from as well, including dodgeball, a foam pit, a kiddie court (for wee ones), slackline (a zip-line themed ride), something called Slam Ball, and even massage chairs for the adults. Jump Fore Fun is a family entertainment center that offers bounce houses, an arcade, blacklight mini-golf, community event, party rooms, rentals, playgrounds, and more. And the best part is that just $5 gets you unlimited admission to both bouncing and golf all day long. What is more, kids under two years-old get in for just $3. 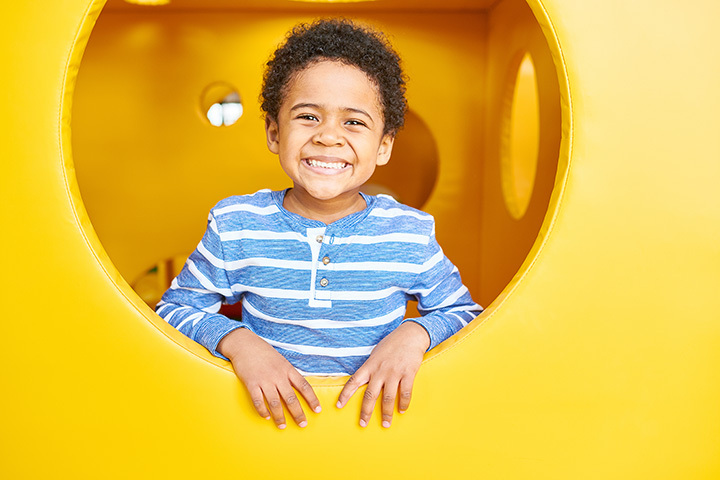 Advertised as an indoor play space for both children and families, KidsPLAYce offers an emotionally and physically safe place for your kids to come to play, learn, explore, and grow. The space itself is storybook themed and was established in 1983 by generous contributions for community members and businesses. The Rutland City Recreation and Parks Department in many ways is the epitome of outdoor children's play areas in the Green Mountain State, and you will find many play facilities scattered throughout the town. We are talking about a total of five playgrounds, ten public parks, and 16 miles of wooded trails, and, in addition, there are five outdoor basketball courts, four softball fields, ten outdoor tennis courts, and so much more.